With the advent of emerging technology, optical drives, and CDs are dying, and with the upcoming devices like notebooks and ultrabooks, it is so much hard to install an operating system on your device. But as they, there are solutions to every problem and bootable USB drives are becoming the first preference to install different OS on your devices. Bootable USB drives are the best options as they are portable and device friendly. So, you can travel easily with your device and can install Windows on various devices on different devices. Today, I’m going to review the ultimate bootable USB device maker FlashBoot and why it is recommended for everyone. So, without further talking, let’s start the review. Make USB thumb-drives, install on any notebook, laptops or systems, and you’re ready to ROCK! 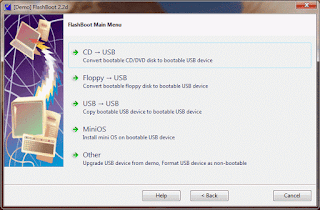 FlashBoot is best bootable device maker as it is very easy to use and can be installed on any device within few minutes. Create bootable thumb drives with operating systems like Windows XP, Vista/7/8/8.1/10, Ubuntu or Linux, etc. and you could carry this USB drive to install on any device you need. The best part is that you can even make the drives from a bootable Windows CD/DVD for even more convenience. The software is exclusively available for Windows-based systems and doesn’t require much of configuration. You can create USB thumb-drives right from your system, and the installation process is very easy and straightforward. So without any further talking, let’s start with all the setup and how useful the program is? Obviously, with providing so many excellent features, FlashBoot is a premium software and offers the natural process of making a bootable USB drive right from ISO files and CD/DVDs. Suppose you need to install Windows to USB thumbdrive, then all you need to do is run FlashBoot and will most of the process happen automatically. Although this is a premium utility tool, the company offers a free basic version and offers most of the essential features. 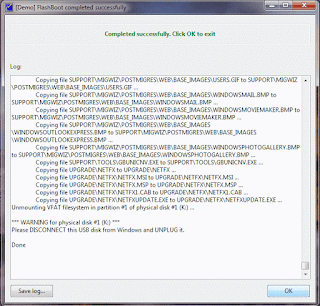 If you like the software, then you can upgrade FlashBoot free installer by purchasing the license. The trial version is available on its official website, and you can download it free. The installation process is pretty easy simple and within few clicks, you’re all set to go. Talking about the method, FlashBoot has a pretty straightforward interface with very few requirements. To start the installation, you’ll need a USB drive with at least 4GB of storage. Step 1: – After the installation process, you’ll get a minimal dashboard where you can choose the source of ISO file or DVD and then it reads the version of the available version of Windows. Step 2: – Next, you need to specify the target location or the bootable USB drive where the OS will get installed. Step 3: – You can also give a name to your USB drive and whoosh! The process starts automatically, and you can see the progress bar on the window now. Also, the program formats the device, so you’ll need to backup all of your sensitive data. Step 4: – After the process is complete, your thumb drive is ready to use, and you can use this bootable drive to install Windows 7,8,8.1,10 on any of your devices, and you take it anywhere. Make bootable USB thumbdrives appear as fixed disk to portable installation of Window. Turn off Hybrid Boot & pagefile to reduce flash memory wearout. So, how much this beautiful piece of technology costs? Well, FlashBoot software is available for an affordable price of $29.95. Although this is a premium utility tool, the company offers a free basic version and offers most of the essential features. If you like the software, then you can upgrade FlashBoot free installer by purchasing the license. All in All, FlashBoot is a fantastic bootable USB maker with so many premium features that can’t even describe. Apart from all the impressive features, the software company offers free updates for all the paid versions and a remarkable technical support for the customers. You can download the free version from the site to get a glimpse of all the amazing things that this tool offers. 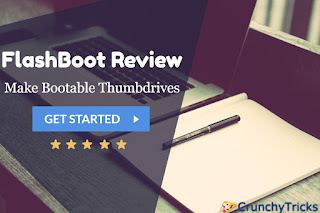 Since USB thumb-drives are very handy and portable, you can use the bootable drive to install Windows or any other OS on any device like notebook, laptops or systems. Now, it’s your turn to tell me what you think about this fantastic utility tool. Do give it a try and let me know in the comment section below. Cheers !